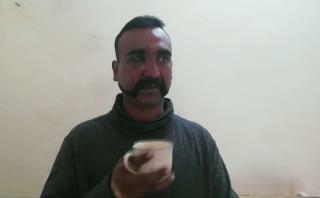 (Newser) – Pakistan's prime minister pledged on Thursday his country would release a captured Indian jetfighter pilot the following day, a move that could help defuse the most-serious confrontation in two decades between the nuclear-armed neighbors over the disputed region of Kashmir. Prime Minister Imran Khan made the announcement in an address to both houses of Parliament, saying he tried to reach his Indian counterpart Narendra Modi on Wednesday with a message that he wants to de-escalate tensions. "We are releasing the Indian pilot as a goodwill gesture tomorrow," Khan told lawmakers. He did not say whether the release was conditional, reports the AP. There was no immediate reaction from India, though Modi earlier in the day warned that "India's enemies are conspiring to create instability in the country through terror attacks." Meanwhile, a temporary closure of airspace over Pakistan snarled air traffic Thursday, especially between Asia and Europe, though some airlines adjusted by rerouting their flights. In Bangkok, an important and busy hub for transcontinental flights, thousands of travelers were stranded. The terminal was so crowded that the chief of Thailand's immigration police tweeted a warning to "Please spare your time for your trip!" Thai Airways says it has rerouted flights to Europe outside Pakistani air space. Malaysia Airlines also said in a travel advisory on its website that it was avoiding air space over Pakistan and northern India "until further notice," the AP reports. Duplicitous pakistan talks peace with one hand and sends terrorists to attack on the other. They had to release him ap per Geneva conventions, trying to take credit for doing the right thing when you have no choice is pointless. But I guess you need good PR when your country is a failed state at best and a chinese colony at worst. In the vacuum of global US leadership and diplomatic influence, it is a land & power-grab period by despots and dictators. Remember when the teacher would leave the room in grade school? Well, she's been out of the room for two years at this point.